Really looking bright for Daytona couse im just loving it . Also choose AMG just for strenght in top speedy-so i got high hopes. Finaly chance for redemption song tune on this legendary and historic track. Also im in WR range rage and starting 3rd or 4th(backwards)-just hoping that its realy a right time to my bad luck turn 180deg. Just a reminder that I won't be racing tomorrow as I'm away with family. Will have limited internet access over the next few days. = P24 in the Championship. I'm changing cars for this race. Do I reset to 0 before the race? Unfortunately (for you) not @StormENT, your points don't technically reset until you've started a session with the new car, so it wouldn't effect your grid position for this race. Go to server list and join "AOR Tier 2"
For this track we didn't find any potential corner cutting which could not get recognized by the in-game track limit detection. 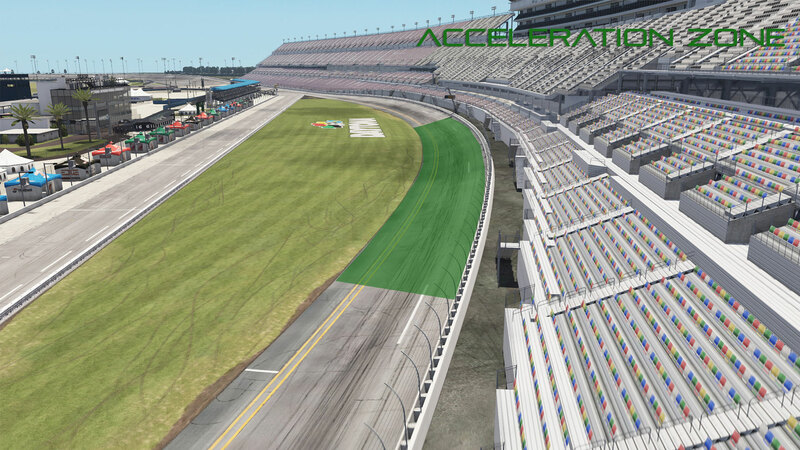 Therefore all parts of the track the in-game track limits apply. The race session will begin with cars under AI control for a few seconds* - Do not apply any throttle during this time. Once drivers have manual control over their car, proceed at a speed below 120kph until you have crossed the start/finish line. Complete the 1st 'Project Cars 2' formation lap, keeping in your position with no overtaking. There is no need to form up at the end of this lap. Once all drivers have crossed the start finish line at the end of the PC2 formation lap everyone should slow to a speed of around 15kph and move to the far left side of the track. As per coordinator instructions, drivers should then pull ahead in their specified starting order and form a new pack with the correct starting order (as per the reverse championship order). Once the grid has been reformed in the correct order, the lap will continue as per the normal manual AOR rolling start. *If anyone suffers any damage during the AI control phase of the start, inform your coordinator as soon as possible. Providing it is realistic to do so, you may be released from the pack to go ahead and repair your damage. Once repaired, you must wait at the end of the pitlane for the pack of cars to pass, then rejoin at the back. 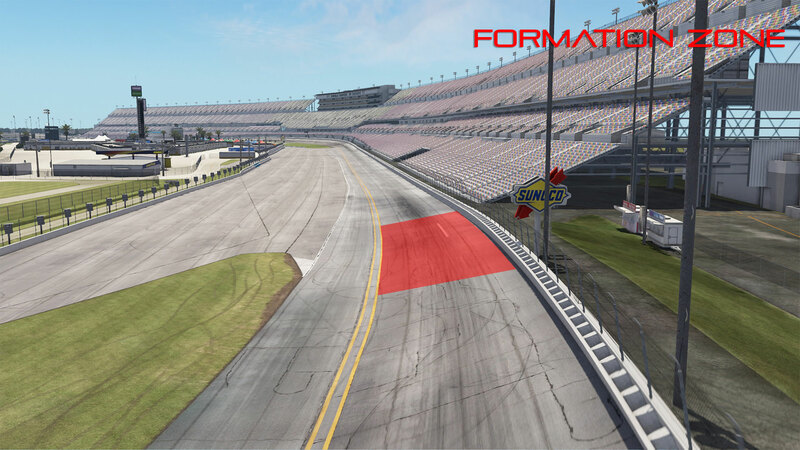 A second formation lap will likely be carried out to allow you to move forward to your correct starting place. I knew it was gonna be a difficult race but McLaren is just factually 2-3 seconds slower a lap. No chance to fight on the straights, even with my 0-0 wing... Anyway I will miss the rest of the season so just wanted to say my thanks for good clean racing and good luck to everybody for the last races! I wish I could have finished the season but unfortunately will be spending too much time at sea and in Lapland for work. Really shame finn-such a talent....hope to c u in S14 or eaven S14 Tier1 couse u and my friend from CRO @Dirtyblood definetly deserve it . @AndrexUK u legendary old UK fox -nice trick to start 1st-but great battle,and well deserved win.Congrats m8-told ya in S5 Endu thread that Aston Martin have SOUL like Alfa Romeo -and GT3 version eaven more with that V12 scream .Great fight for 17or18laps. Finally great burden is lifted of my chest-couse this race no freezes,no DCs,no teh. issues at all and FINALY podium-so next blank box to check is to [email protected] . Just that this slow downs ruined me-but not gonna b**ch(auto cenzored LOL) about podium finish . Also congrats to Smoulda. I knew that i got pace but was in avg slower 0.3-0.4sec of my race pace PB-but this time it was all me . Anyway great race-now to continue watch Real Life 2019 Daytona24 Rolex and....6 pack gonna be gonne . Awesome race I really like these reverse grid races it seems ... Starting from P7 I climbed two positions in first lap. Not sure if I left enough space to @Pitti - we were going side by side in lap 2 through bus stop chicane, there was some contact, but no damage. I really didn't want to go 2 wide, but I was a lot faster with the slipstream and there was a car behind me, so I couldn't lift ... I didn't save the replay (gallery full or something), so I can't check. Anyway, after that I found myself behind @VoodooChild - I was maybe a little bit faster and decided to wait for a perfect opportunity. It kinda came in lap 12 - exiting turn 6 VoodooChild made a mistake, lost the rear a bit - I moved to his outside and then my heart stopped when I realized, he might countersteer and hit me :-D Luckily for both of us he caught the slide and we didn't crash - P3 for me. Anyway, congrats to @AndrexUK (how did you manage to win with the Aston I swear I will never know :-D ) and @/CSR/ speedy.go for P3 I didn't even dream I would end up on podium this season, you guys are so fast! See you all next wednesday! Well, finally a race in which i didn't feel completely outmatched. Still lost few positions but was happy with my pace, and loved the "parade finish" with my team mate. Not a huge fan of the track but enjoyed battling my way through from P18 up to P5, especially managing to stick a double overtake three wide into the bus-stop; I think we were all expecting it to end badly so took it easy and I got the advantage of the inside line. Really screwed myself by opting for a 75:75 fuel strategy...didn't make up anywhere near enough time from the weight saving round this track for that to work but didn't practice enough to find that out before. Also optted for rear wing on 1 which cost a few tenths per lap. For me the Lambo on 0 is way too pointy with the constant grip levels at the front, especially in the grim braking zones of Daytona, but those few tenths were probably worth not sending it into the wall so no regrets there! Well damn, that was a really fun race in the end, refreshingly so, since I had probably prepared for this one about 1/5th as much as I usually do for a race (was really busy this week). I'd threw my setup together pretty quickly, had decided on softs tyres (which usually I hate) and hadn't ran more than a 10 lap stint on it before the race, but 3.5 seasons with the M6 seems to mean I can make a pretty good estimation at the setup, and surprisingly the car felt really quite awesome during the whole 50 laps. I'd started near the back, and knowing how the M6 is challenged by its high drag on long straights I really expected to only go backwards, but due to some people having issues/collisions, and me somehow finding better and better braking-points/lines as the race went on (another refreshing bonus of not having done a lot of testing) I was very surprised to find myself running in the top 10 towards the end. For a race I expected so little from (both fun and results wise) it turned out to be one of the highlights of the season so far, requiring maximum concentration for the entire time. I only had one big 'moment' when I lost the rear exiting the chicane, 9 times out of 10 I would have put it in the wall, but the big bimmer was kind, and came back in line just before it was too late. Unfortunately, I'd trusted my pre-race maths for the fuel load, and the extra PC2 formation lap meant I didn't have enough to get to the end (I should have known better and I should have double checked my usage in the pit menu), so I dropped from 8th back to 11th as I coasted around the last lap, but I'm here for the racing, which was awesome, and I'm happy with my driving, so that doesn't really matter much at all in the end. Congrats to @AndrexUK for a commanding win, that I expect was a damn sight harder than he made it look, and to @Smolda and @speedy.go for some long overdue great results. Thanks to @VoodooChild for coordinating, and to @AndrexUK for sharing his wisdom and experience of the starting procedure etc. Was a little 'Engineered' to give myself the best possible chance of a win! Switching to using the Aston at Zolder (was a handful!) just to reset my points, to put me near the front of the reverse grid! Got a really good start, and gained a couple of seconds lead in the first 5 laps or so, but then @/CSR/ speedy.go started closing up on me. Think he picked up a few cut penalties, and dropped back again, and then had a battle with @Smolda for P2. Had they worked together, I'm sure they would have caught me, but they battled, and allowed me to keep my lead, and pull away a little. I think it's easy to put the win on the Aston, but I don't think it's actually the missile you think it is! I'd love you all to try it and see how you get on!!! I'm quite sure some of you would beat me in the same machine for sure, but I don't think it's as all conquering on the power tracks as you may think! But the brakes..., and the turn in? not good! I had to ring the neck of that thing to stay at the front, and couldn't afford a single mistake! If I wasn't going to take the win there, It was never going to happen! HUGE thanks to @Shooter80 for the use of the Azure server / setup / config! Well done to ALL for managing to connect / race without server issues! I think the standings need fixed though, as both myself and Zero did not loose our points from switching cars last race!